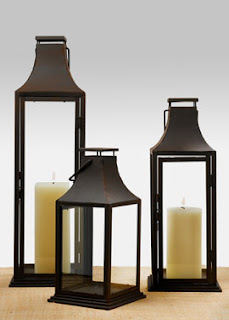 When it begins to cool off and the trees begin to change, I get excited about using these lanterns for my fall weddings. They are great to line walkways, to hang from shepherd’s hooks, as well as to hang in trees. I also like to use them on tables, mixed with flowers, of course. I am not sure why I don’t use them in the spring and summer? They just say “fall” to me. Just like the weather this morning.